Very easy and convenient way for your customers to pay for their services or make a prepaid deposit is to use refill cards. You can generate Refill cards in Splynx with further exporting them in PDF and CSV format, printing out and delivering them to customers. 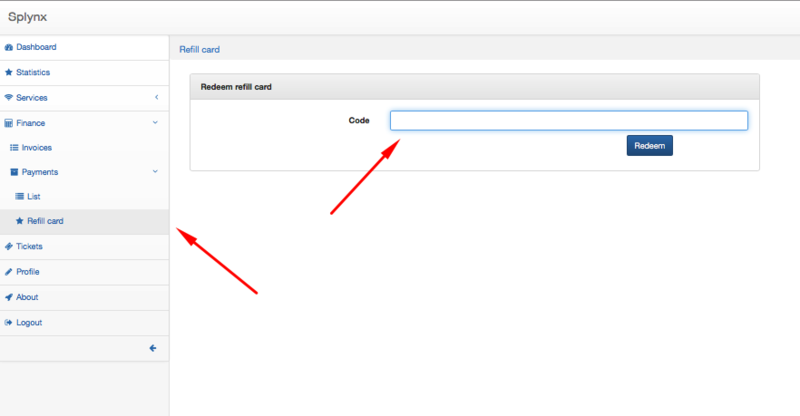 Your customers, in turn, will be able to redeem refill card via customers' portal. 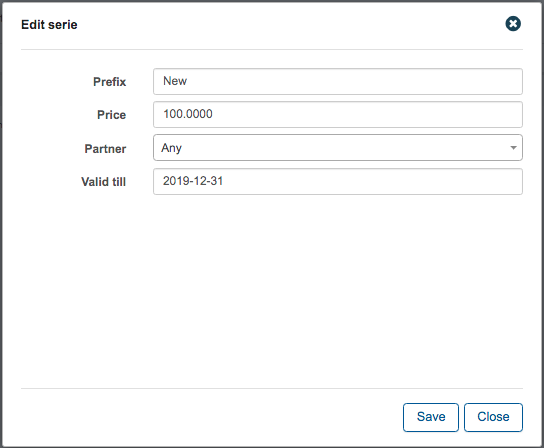 In Finance → Refill cards → Generate set up parameters for Refill cards generating: Quantity, Prefix, Price, choose the partner and valid date, and click on Generate. As soon as cards will be generated a window will pop up with a table of refill cards series. In Actions column will be options for editing, viewing the list of Refill cards' series, exporting them and deleting. 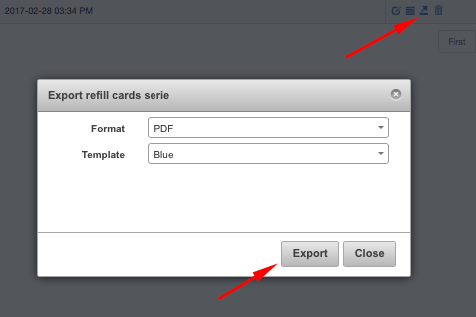 To edit refill cards serie click on and window will appear enabling you to make changes. 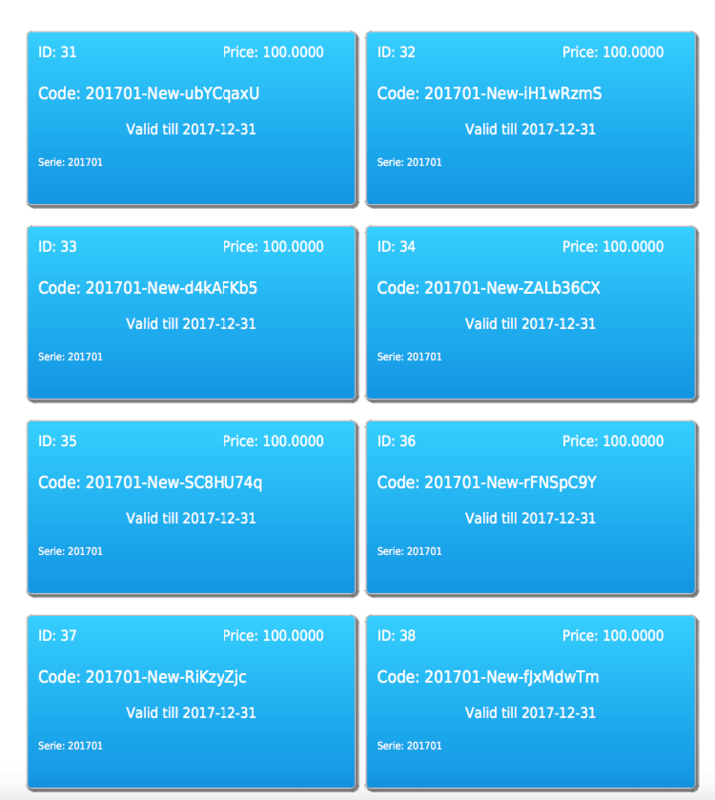 By clicking on icon or on card serie in the Serie Column a table of all cards created under this serie will appear with their full codes. Here you can redeem customers' card to top up their balance by clicking on . As soon as card will be redeemed its status will be changed. In Customers → View → Billing → Payments will be possible to see activated card and amount of deposit made on the customer's account. By clicking on icon you can export cards in two available formats: CSV and PDF for further printing out and sale to customers. 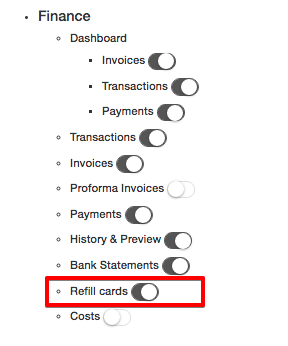 First, Refill cards should be enabled for the customer's portal. It can be done under Config → Main → Portal. In Customer's portal customer will go to Finance → Payments → Refill card and enter the card's code into Code window. Customers will be able to check their balance in Finance → Payments → List, where date of the payment, payment type, amount and possible comment on the payment will be shown.